Provide comfort for the family of Brenda Mixell with a meaningful gesture of sympathy. 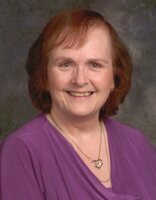 Brenda Kaye Mixell, 69, of Shippensburg, passed away Sunday, December 23, 2018 at the Penn State Hershey Medical Center. She was born Sunday, March 27, 1949 in Carlisle, she was a daughter of the late John Michael and Esther Belle Hurley Singer. Brenda was a 1967 graduate of the Shippensburg High School. She was a very active member of the Prince Street United Brethren Church in Shippensburg. Brenda was employed at Letterkenny Army Depot with 20 years of service, and later retired from the Mechanicsburg Naval Depot with 19 years of service working as a Logistics Analyst with NAVSUP. She loved and cherished her family, especially her grandchildren, and great grandchildren. 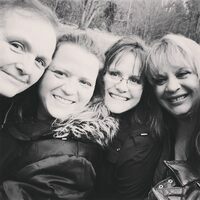 Brenda is survived by three daughters, Beth Marie Thomas, (fiance Mark Anthony Shifflett) of Shippensburg, Becky Rae Willard, Hagerstown, MD, and Bonnie Kaye (husband Leroy Eugene) Wilson, Jr., St. Thomas; one brother, Michael Lee Singer, Blairs Mills; four grandchildren; and two great grandchildren. In addition to her parents, she was preceded in death by one brother, Ronald Singer, and one sister, Vickie Singer. Funeral services will be held Thursday, January 3, 2019 at 10:00 a.m. in the Fogelsanger-Bricker Funeral Home & Crematorium, with the Rev. Michael Wentz officiating. Burial will be private. A viewing will be held one hour prior to the service at the funeral home. In lieu of flowers, memorial contributions may be made to the American Cancer Society, P.O. Box 897 Hershey, PA 17033 or to the American Heart Association, 1019 Mumma Road, Wormleysburg, PA 17043. Consider providing a gift of comfort for the family of Brenda Mixell by sending flowers. I rode on the bus with Brenda to Mechanicsburg Navy base. She read her Bible every morning. I admired her very much. I was shocked to hear of her passing. My prayers to her entire family. God's blessings. Brenda was a bright light. This tree stands firm in its roots and quest to grow.....just like Brenda. I only had the privilege of knowing Brenda these last 2 years. What a super lady! We went on two mission trips to Kentucky together. I will miss her! My condolences to her family. God has welcomed another angel!